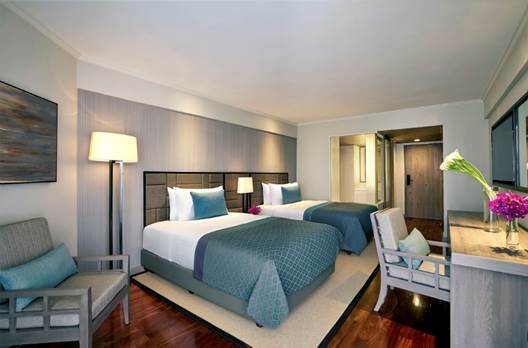 AVANI Pattaya Resort and Spa launches today in one of Thailand’s popular beach resort destinations. 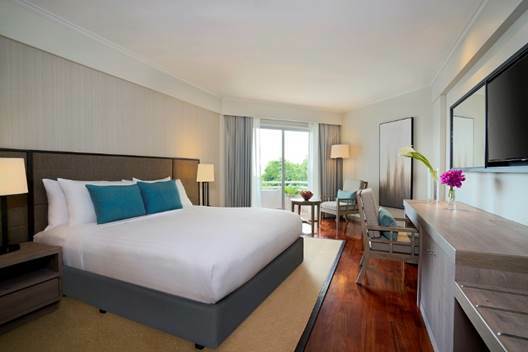 Conveniently located in the heart of the city, on Pattaya Beach, the 298-room resort offers great sea views and a relaxed vibe for both business travellers and holidaymakers. Previously operating as Pattaya Marriott Resort and Spa, over USD 5 million has been invested in refurbishing the resort, including guest rooms, meeting rooms, the Elephant Bar and Garden Café Restaurant, plus the resort has introduced The Pantry, an inviting zone where guests are able to eat, grab a quick bite or stock up their mini bars. The newly refurbished Garden Café Restaurant offers a tranquil spot forbreakfast, lunch and dinner. The design style is organic, natural and uncluttered with warm textures and muted tones of plum, grey and shades of white. The varied buffet offers international fare and classic Thai dishes. Lunch and dinner favourites include the seabass with masala sauce, pumpkin risotto and local tiger prawns. Sala Rim Nam, the resort’s open-air Thai restaurant, is encircled by lotus ponds and tropical flora. 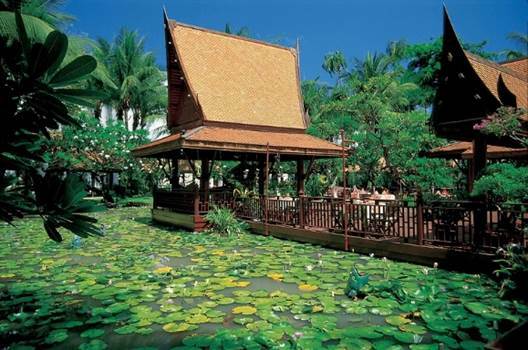 Experience a Thai culinary journey surrounded by the sea breeze and the fragrance of Frangipani blossoms. Standout dishes include the Massaman chicken curry and Choo Chee salmon. The tranquil AVANISpa offers a different approach to wellness, focusing on each guest’s individual needs rather than offering only standard treatments. The therapist conducts a consultation with the guest to accurately ascertain what treatment the guest really needs. Treatment options include Boost, Balance, Calm and Purify. Rejuvenating Boost treatments are the perfect antidote for those suffering from low energy and jet lag. Balance treatments ground the body, mind and mood and Calm treatments release muscle tension, relieve anxiety and recharge the mind. Purify treatments offer the perfect detox. Guests can also enjoy outdoor treatments in the air-conditioned spa pavilions by the pool. AVANIFit focuses on lifestyle elements that promote a healthy body and healthy mind and the resort’s 2,000 square metre Fitness Club, with facilities comprising an aerobic studio, a full range of cardiovascular equipment, strength machines, free weights and two floodlit tennis courts, allow guests to keep up their fitness routines whilst on holiday or business. 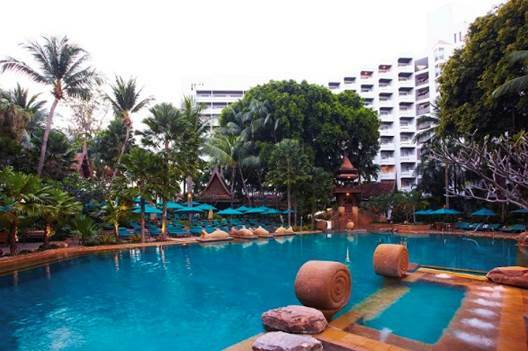 Daily exercise classes include Yoga, Pilates and Muay Thai boxing. Set within the lush gardens is a 650 square metre outdoor adult and children’s swimming pool with a hydrotherapy Jacuzzi plunge pool. Located in the heart of Pattaya and overlooking the beach, the resort is only minutes away from the city’s hotspots and is connected to Royal Garden Plaza. This entertainment mall brings retail stores and family attractions and experiences together under one roof. The selection of restaurants includesworld-renowned Benihana, where guests can enjoy ‘eatertainment’ around Teppanyaki style dining. Mall family entertainment comes in the form of Ripley’s Believe It Or Not Museum of oddball finds, Ripley's Haunted Adventure, Ripley's 4D Moving Theatre and Ripley's Infinity Maze. Plus, Louis Tussaud's Wax Museum. And there’s more. Pattaya offers a wide range of entertainment for kids ranging from The Million Years Stone Park, Crocodile Farm, Upside Down House and Sheep Farm, along with the Cartoon Network-themed waterpark with over 13-acres of family raft rides, speed-racing slides and water-play fortresses. Pattaya is a water sport adventurists dream. From jet skiing to deep sea fishing, windsurfing, and wakeboarding, to parasailing and yachting, even flyboarding! There are numerous scuba dive centres with PADI dive training courses available for novices and experienced divers wanting to complete their dive master certification. The weather is fantastic all year round offering great visibility and diversity of dive sites and Coral Island is just a boat ride away, where the snorkelling and diving is amazing. For those who prefer a quieter beach experience then head for Tien Beach, Samae Beach or Naon. Golfing enthusiasts will be delighted by Pattaya’s range and diversity of fairways and greens. Pattaya has over 20 championship golf courses and many of them have been designed by golf legends including Nick Faldo (Great Lakes), Jack Nicklaus (Laem Chabang), Gary Player (Sri Racha) and Robert Trent Jones (Eastern Star). The Siam Country Club is one of Thailand's finest and most challenging courses and has played host to international tournaments on many occasions including the LPGA. Only 90 minutes by car from Suvarnabhumi International Airport, Pattaya is the closest major beach destination to Thailand’s capital. This vibrant coastal city is a must visit destination in Thailand as there is something for everyone.